Happy spring everyone! I don't know about where you are, but the weather has been absolutely gorgeous here in Arizona and it has me feeling all outdoorsy. Our new house has a massively large front porch, so I decided to build a pair of redwood planter boxes to help make the space seem less cavernous. My husband and I are both serial plant killers, so we are taking a big gamble expecting to keep anything alive. I may not know how to manage vegetation, but I at least have the building part covered. (4) 4 x 4 @ 27"
(4) 1 x 4 @ 35-1/2"
(6) 1 x 4 @ 12"
(2) 2 x 2 @ 35 3/8"
(2) 2 x 2 @ 11 7/8"
(7) 1 x 6 @ 11 1/8"
(2) 14" flashing panels @ 14" x 14"
(4) 14" flashing panels @ 14" x 18"
1. 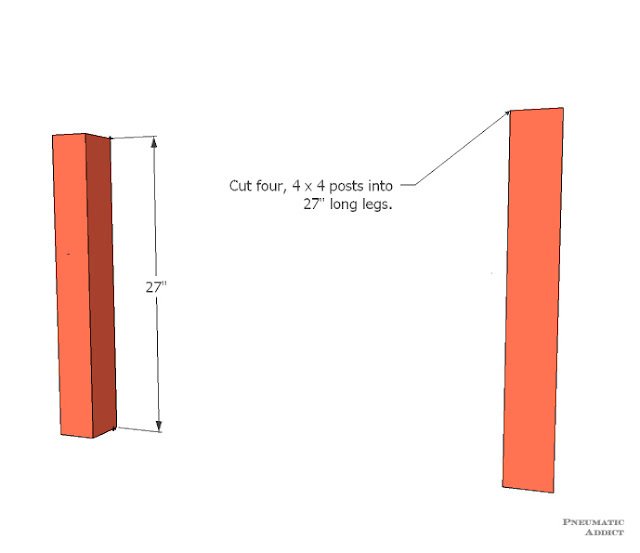 Cut 4 x 4 posts at 27" in length. Optionally, to give the legs a little fanciness, you can taper the ends of the legs with either a compound miter saw or a table saw. 2. Create a side panel. 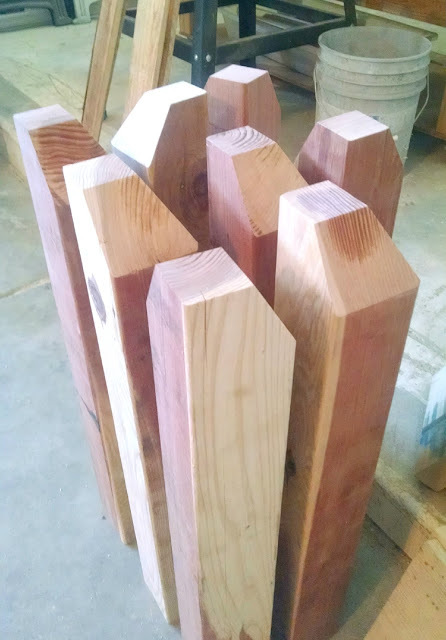 Cut four, 1 x 4 fence pickets at 35-1/2". Drill 2 pocket holes on each end of all four boards. On two of the boards, drill three pocket holes vertically. Using 2" screws through pocket holes, attach one of the boards with vertical holes between two legs, flush to the top and recessed 1/2" from the front face of the legs. 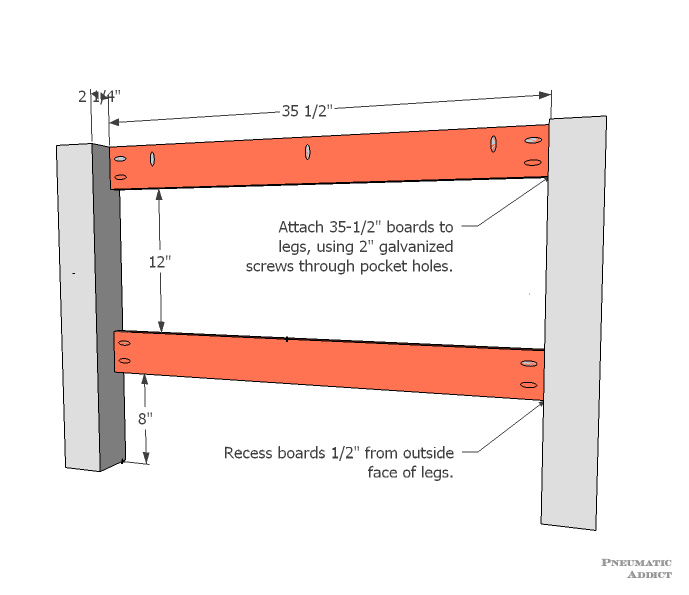 Measure 12" down and attach a board with end-holes only. Drill two pocket holes on either end of a 12" board. 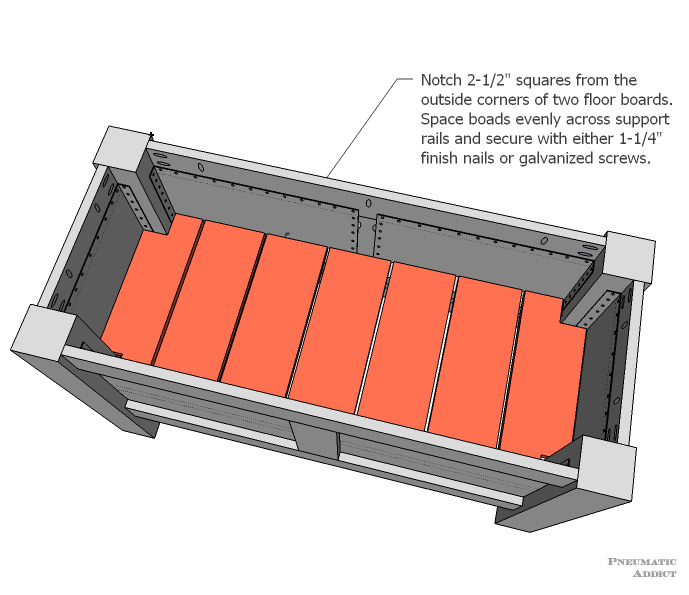 Attach the board vertically to the rails, centered between the legs. 3. 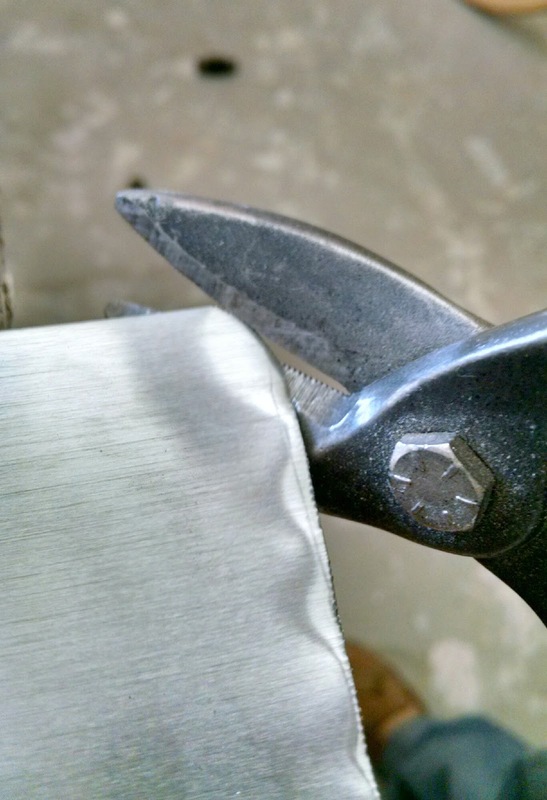 Use tin snips to cut aluminum flashing into two, 14" x 14" square and four, 14" x 18" rectangles. Be careful! 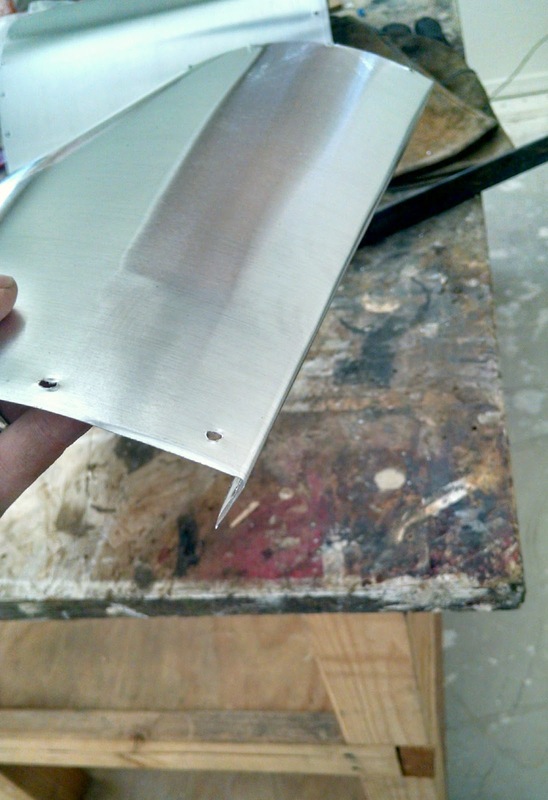 The edges of the flashing can be very sharp. I would suggest wearing leather gloves and rounding the corners of the panels. 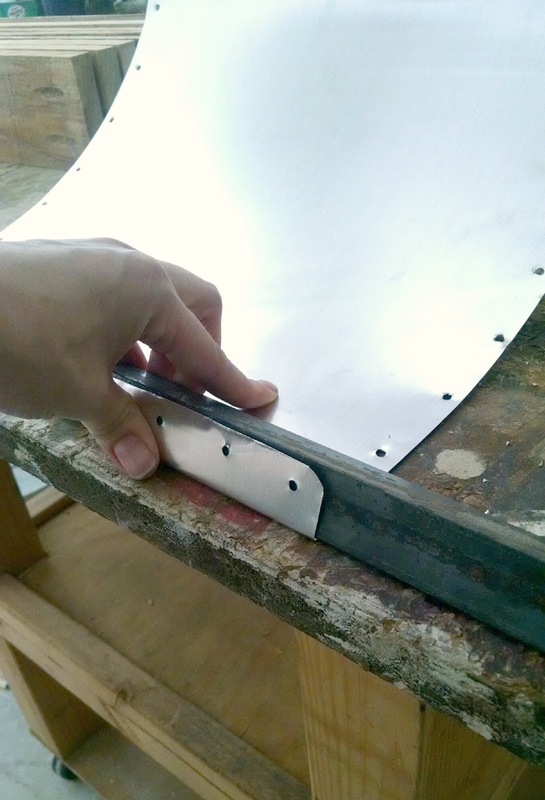 Use a piece of 1" angle iron or wood scrap to bend a 90 degree flap. 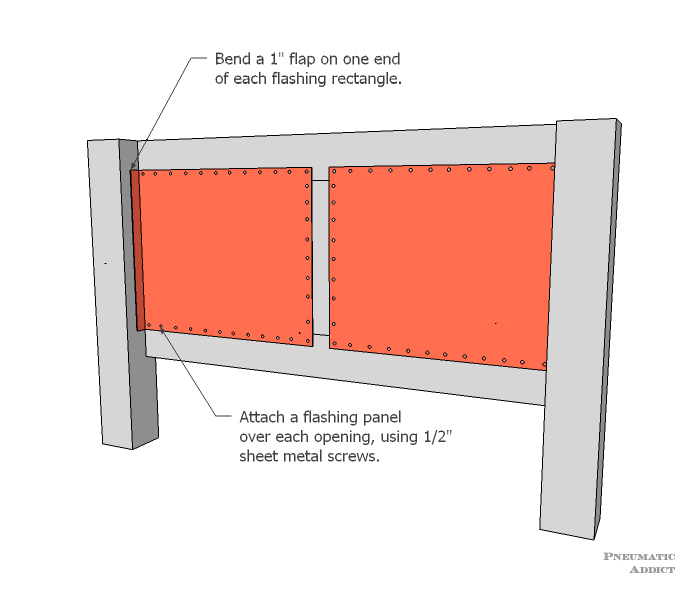 On the rectangular pieces of flashing. bend only one edge. On the square pieces, bend two parallel sides. 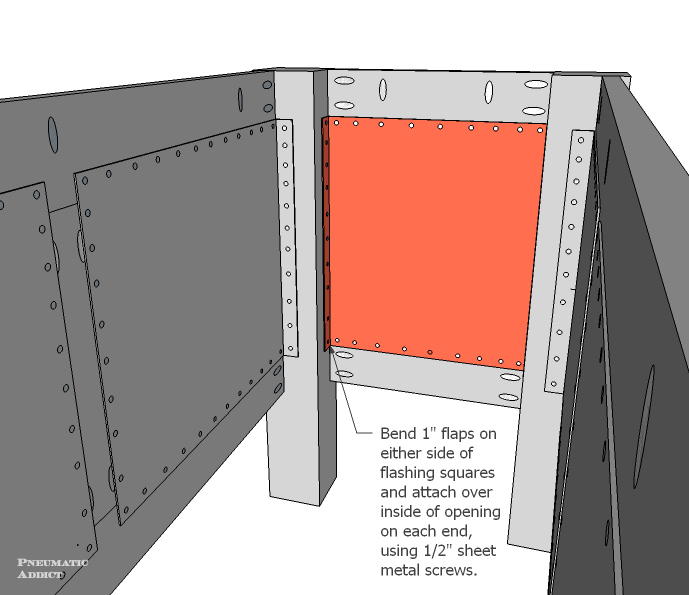 Align flashing panel over the backside of each opening. The 1" flap should lay on the side of the leg. Drive 1/2" sheet metal screws though pre-drilled holes, securing the flashing in place. 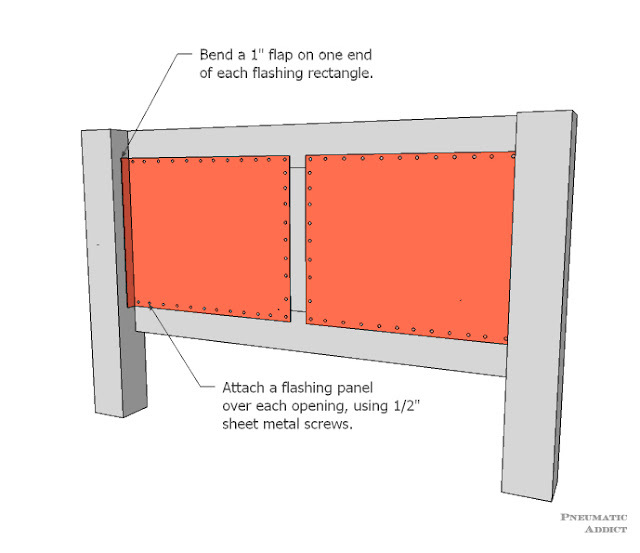 Create a second side panel, following the same steps. 4. Drill two pocket holes on both ends of remaining 12" long, 1 x 4 boards. One two of the boards, drill two vertical pocket holes. 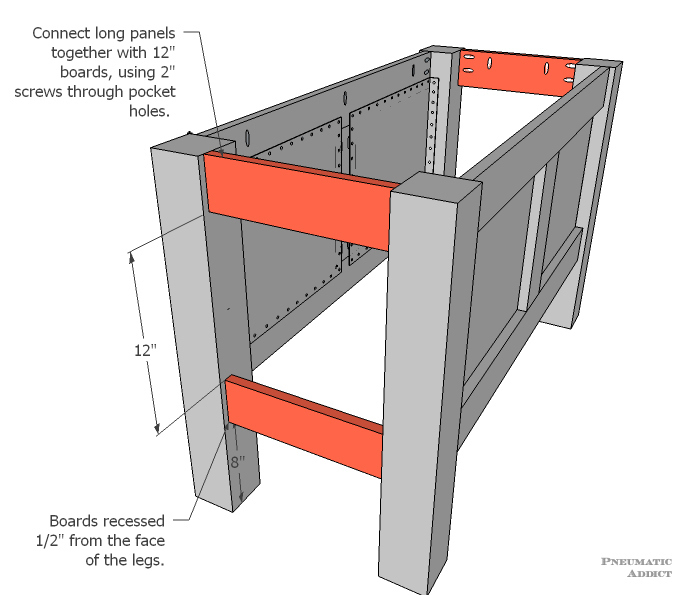 Connect both side panels together with 12" boards spaced 12" apart and 1/2" from outside face of legs. 5. 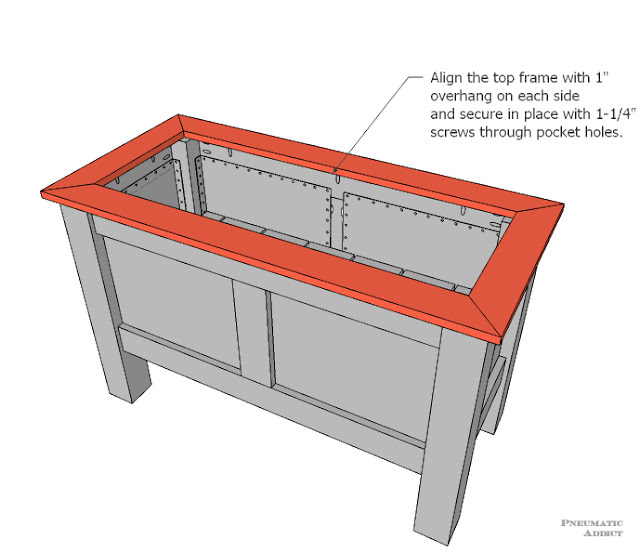 Place a square panel over each end openings. 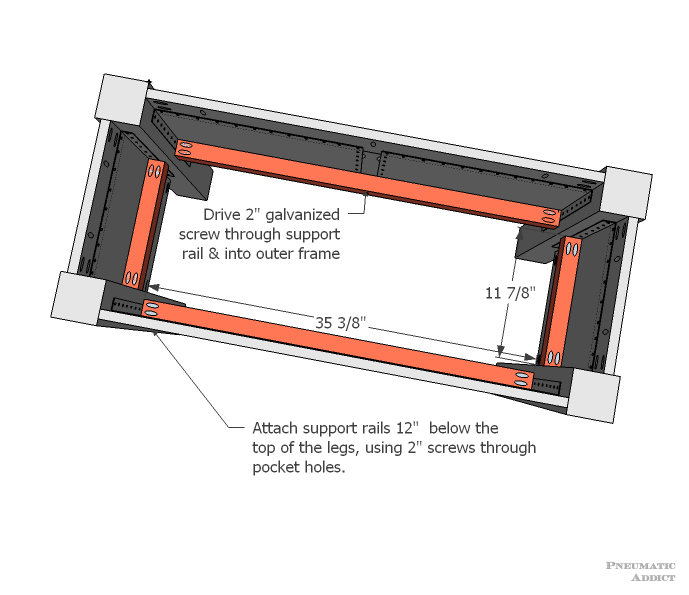 Attach with sheet metal screws. 6. Cut 2 x 2 balusters to length and drill two pocket holes on each end. 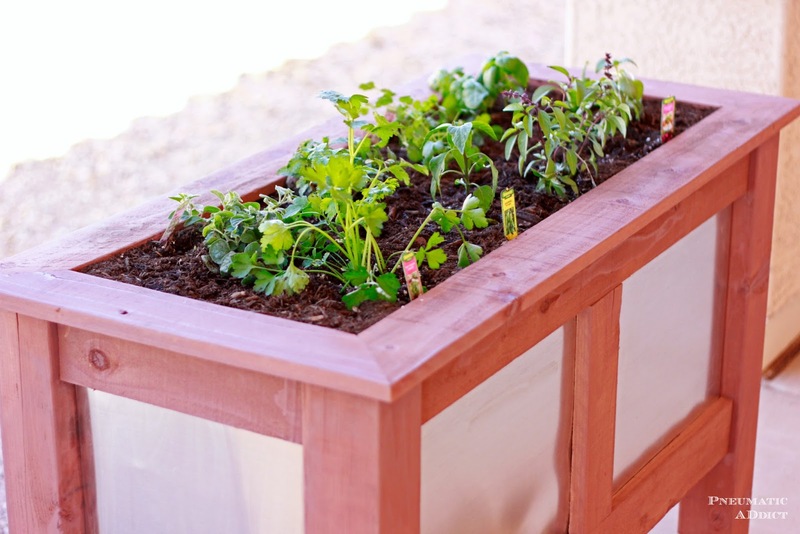 Attach 2 x 2 rails 12" below the top of the planter, using 2" screws. Drive a 2" screw through the center of the longer rails, into the other frame. 7. Cut seven, 1 x 6 fence boards at 11-1/8". Notch 2-1/2" squares from the outer corners on two boards. Place boards on top of support rails and space them evenly apart. Secure boards with either 1-1/4" finish nails or galvanized screws. 8. 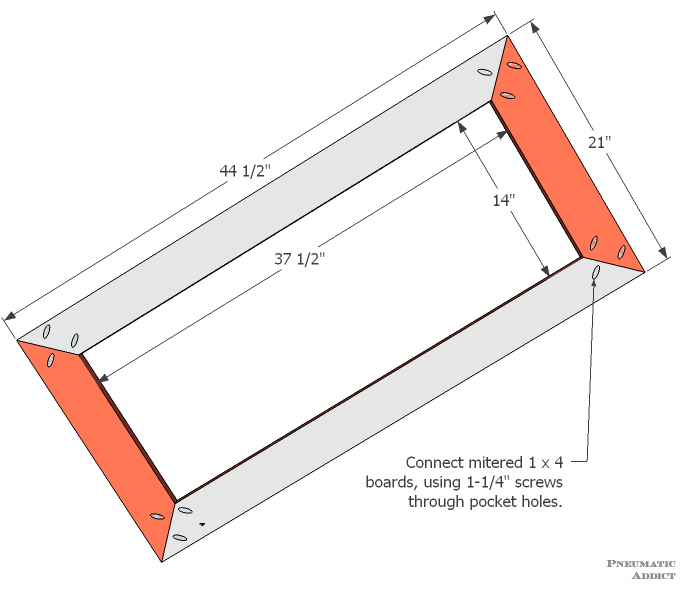 Create a top frame from 1 x 4 boards. Cut two boards, mitered on both ends, 44-1/2" long point to long point. Cut two boards, mitered on both ends, 21" long point to long point. 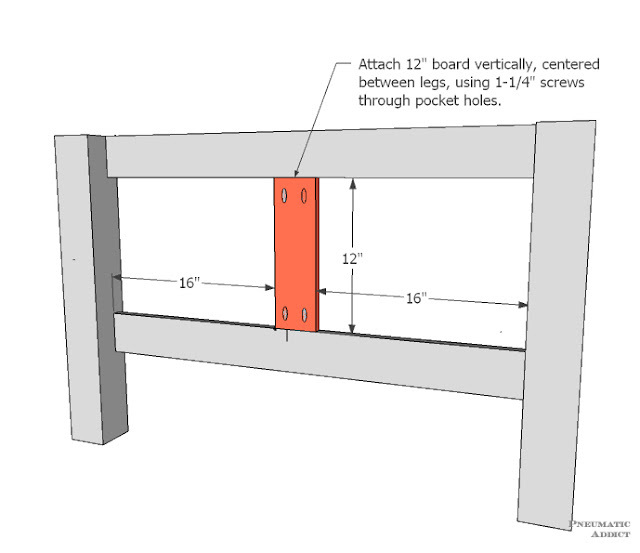 Place boards in a rectangle and attach together with 1-1/4" screws through pocket holes. Place the top frame on the planter with 1" overhanging on each side. Secure in place with 1-1/4" screws through vertical pocket holes. 9. At this point, you can apply your finish if that's how you roll. Not only is redwood gorgeous, but you can leave it bare. 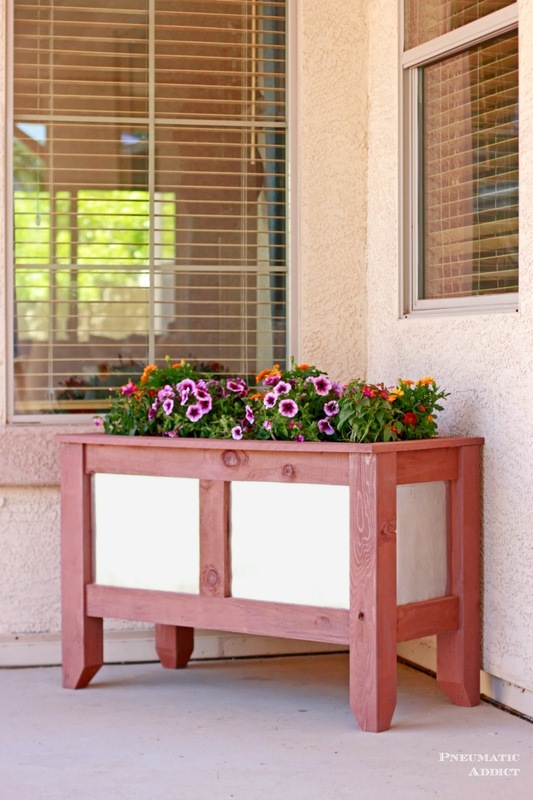 Redwood and cedar handle moisture very well, making them perfect for outdoor project like planters. I chose to apply two coats of semi-transparent deck stain. Depending on the plants you are going to plant, you may want to drill additional holes for drainage. 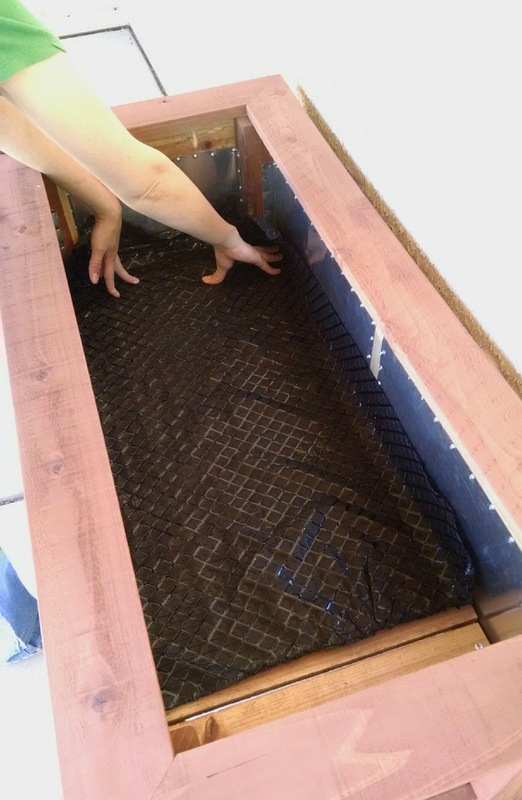 Before filling the planter will soil, you will want to line the bottom with a sheet of garden mesh. And that's it! 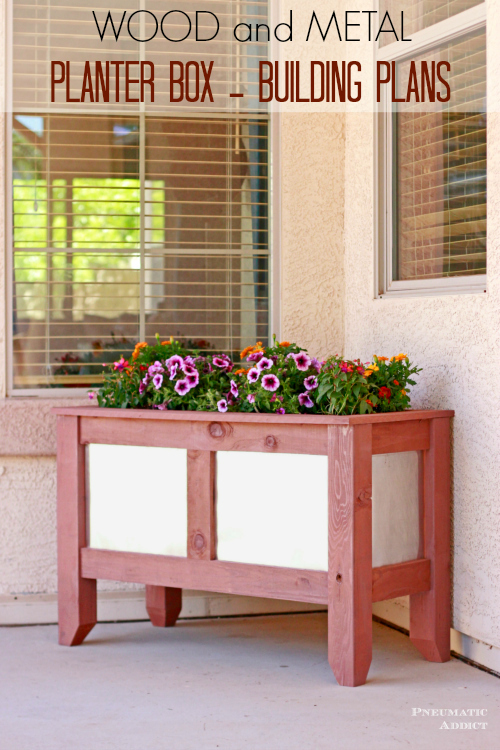 I actually built two for my front porch. 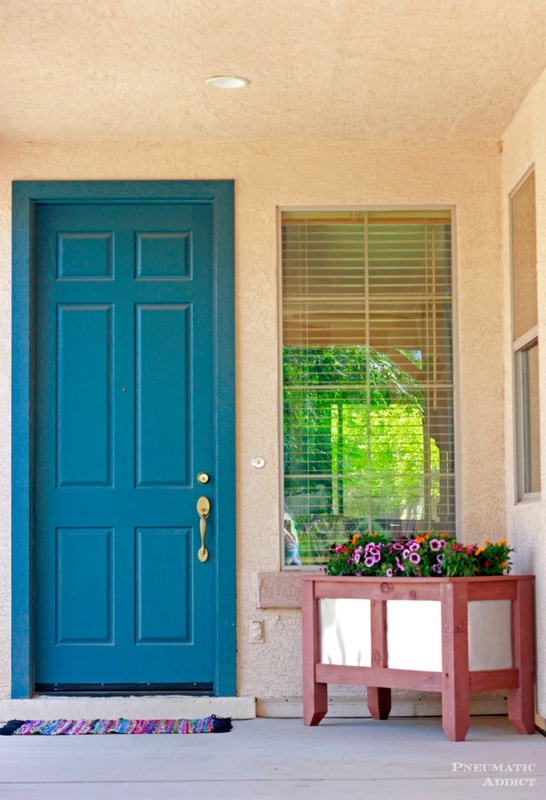 I filled one with flowers and placed it by the front door. The second, I turned into an herb garden. 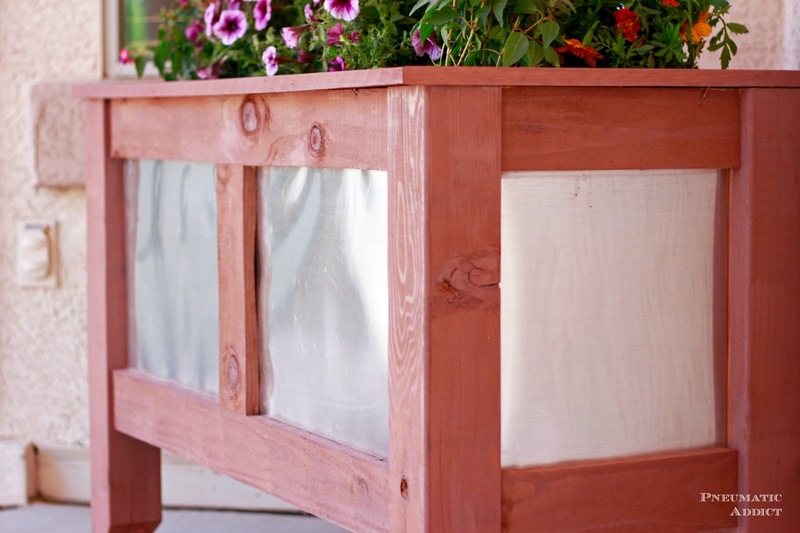 I used aluminum flashing which has a clean, modern look, but I can imagine galvanized steel panels for a rustic, farmhouse-y feel. Maybe if I walk past these plants everyday I might actually remember to water them. What do you think? 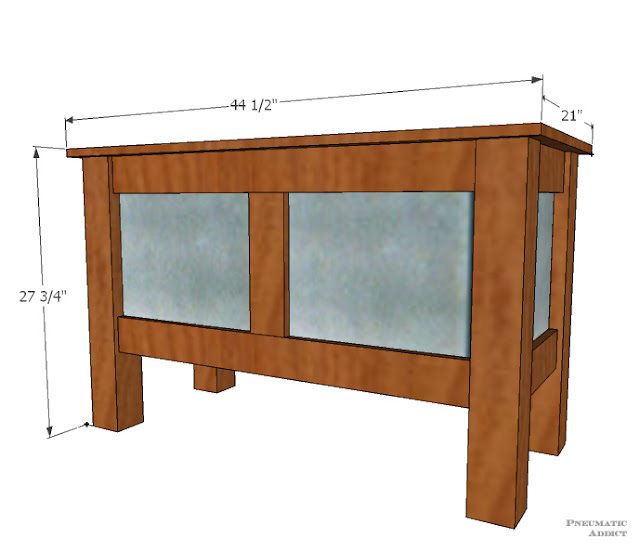 Ready to build your own? Pin the image below to save the idea for later. 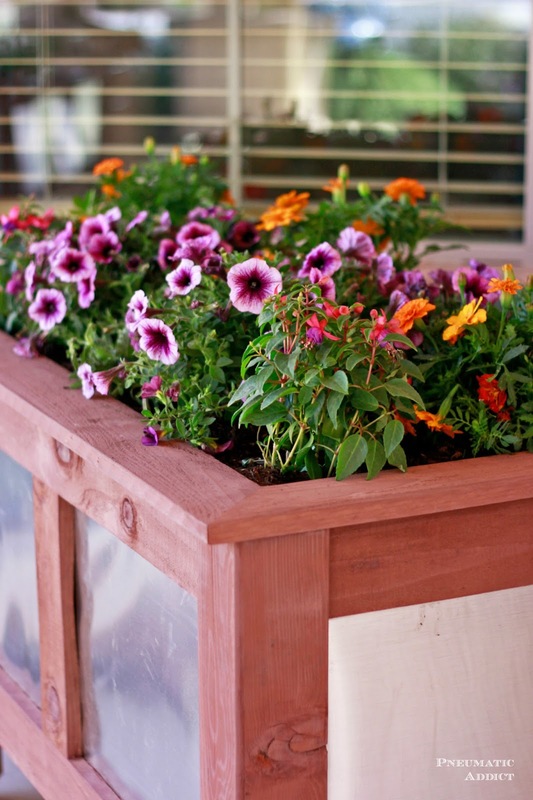 I think your planter box is lovely. I'm sharing it on Facebook today and pinning! Finally directions that I can understand! I badly need this wood and metal planter box in my garden area, thank you for posting a step by step guide on how to build it. Will re-write the instructions on help with writing a dissertation abstract to practice my writing skills.